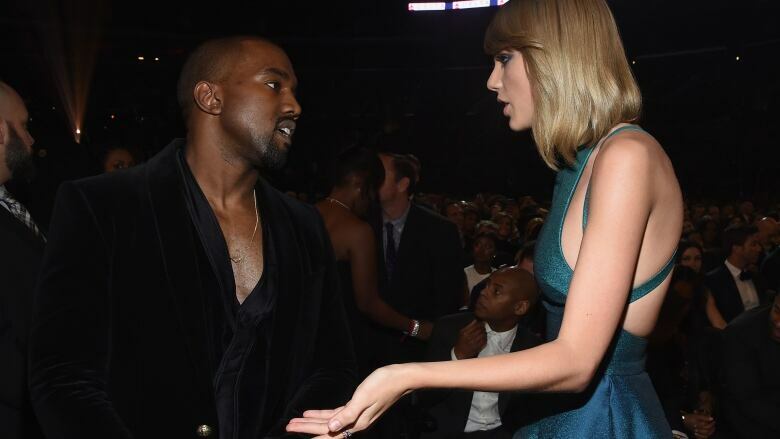 Our q This panel look at the diverging career paths of Taylor Swift and Kanye West. Every Friday, q This looks at the biggest stories in music news. Today, CBC's Lisa Christiansen and Stuart Berman join guest host Saroja ​Coelho to look at the continuing unlikely association of Taylor Swift and Kanye West. It continued this week when Swift made her first-ever political comment and Kanye visited Donald Trump at the White House.